Welcome to the first stop aboard Magical Blogorail. Enjoy the ride as we share tips for staying fit and healthy at the Disney Parks. 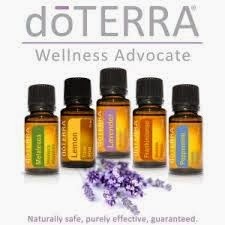 We are talking about staying fit and healthy at Walt Disney World this week. To stay fit and healthy you need to try to avoid those delicious looking ice cream carts and instead look for the healthy carts that serve fresh fruit and bottled water :) My favorite healthy snacking spot at the Magic Kingdom is located in Liberty Square near the Columbia Harbour House. The Liberty Square Market serves a wide variety of fresh fruits, fruit and nut trail mixes, fruit juices and bottled water. Don't forget to avoid the soda if you are trying to stay healthy. Disney offers complimentary ice water at most quick service spots. You just have to ask. Thank you for joining me today. Your next stop on the Magical Blogorail Loop is Super Heroes and Teacups. 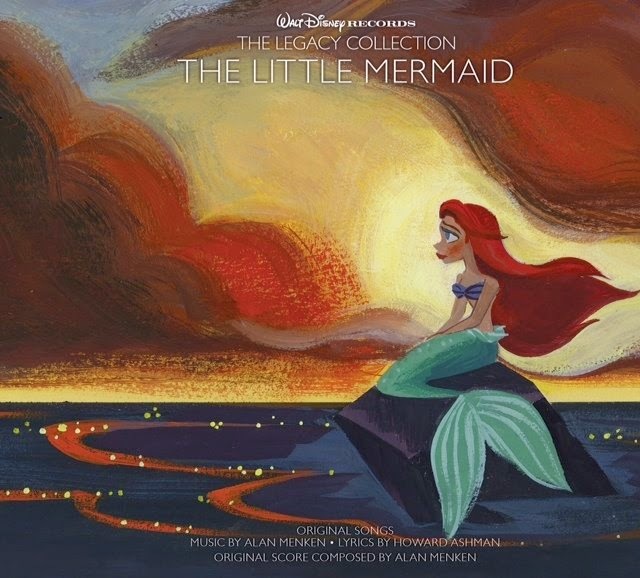 The Little Mermaid Legacy Collection is an amazing cd complete with the classic Little Mermaid songs from the movie. The Little Mermaid movie was my all time favorite Disney movie as a child. To this day I still enjoy watching it with my children. There are two cd's included in a hard bound book case consisting of the ever popular "Under the Sea" and "A Part Of Your World". This collection is such a fun compilation of hit songs from the movie The Little Mermaid perfect for any Ariel lover! My 7 year old and 3 year old absolutely love to have dance parties and this is their new 'go to' cd for their dance parties! 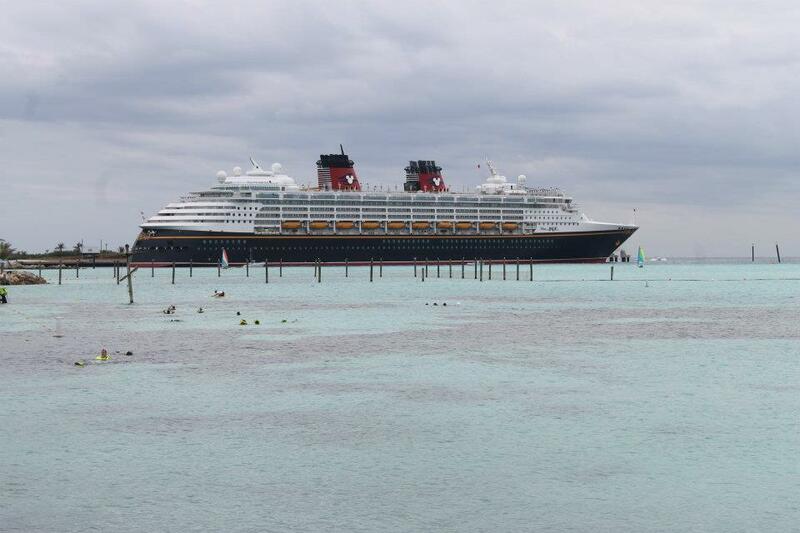 Castaway Cay is Disney's own private island located in the Bahamas. 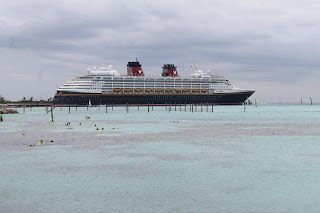 Disney purchased a 99 year land lease on Castaway Cay in 1997 from the Bahamian government. 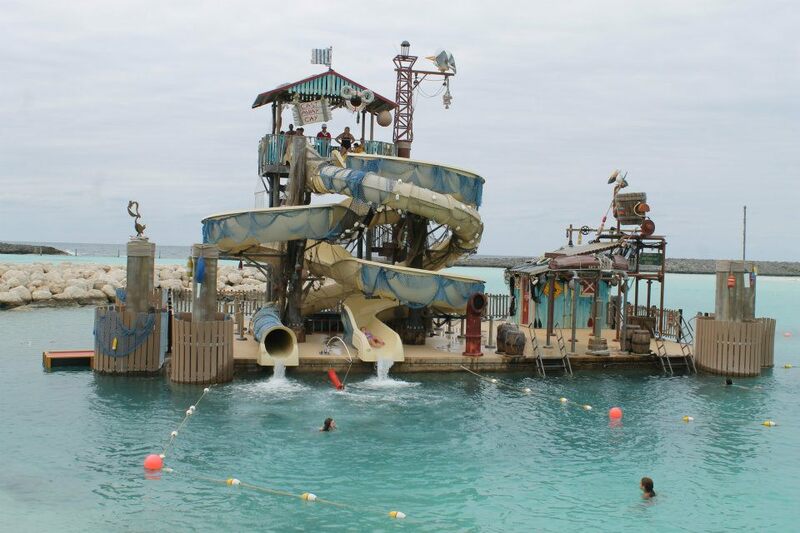 Castaway Cay features many activities both on land and in the water for all ages! There is snorkeling equipment available for rent, bikes available for rent and an adult only beach (Serenity Bay) for those looking for some peace and quiet. There are two restaurants on Castaway Cay and a bar and gift shop. There is even a post office on the island featuring special "Castaway Cay" postmarks. Be sure to bring cash because they do not accept anything else and you must purchase Bahamian stamps. Disney provides trams on the island to transport guests all around the island. The two restaurants are free to guests however you must pay for your own drinks from the bar. Pelican Plunge is free but for those looking for a little more adventure there are other options too but unfortunately they're not free. Jet ski rentals are available but they are not cheap. You can swim with stingrays or snorkel too. Tips: Bring your kids a few small sand toys from home, they are available to purchase but they're pricey. Bring sunscreen and a book to read. 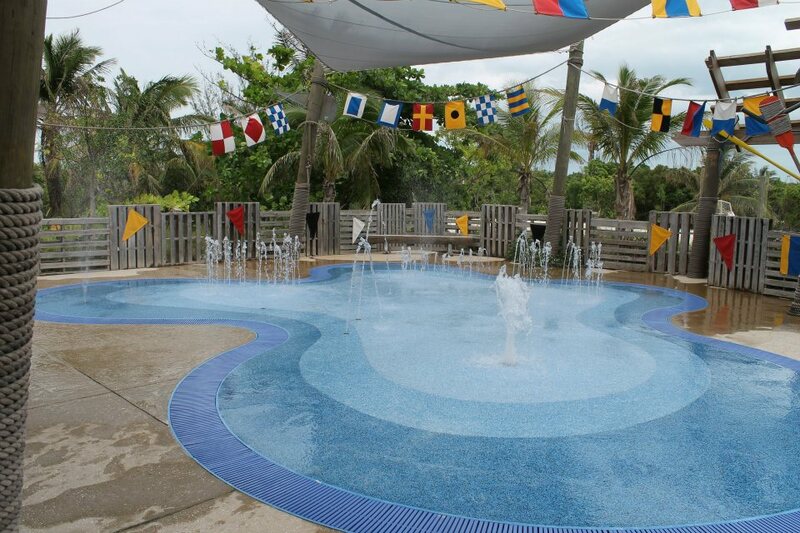 Check your children into the kids club and relax-this is your vacation too! Spend a few hours playing with your kids on the beach and then let them have fun at the kids club while Mom and Dad relax at Serenity Bay having a cocktail and relaxing! Pillowcases are my absolute favorite way to creatively capture signatures! I recommend having your child's pillow monogrammed with their name beforehand. Then bring bright fabric markers for each characters signature. Never use Sharpies on fabric as they will bleed in washing machine. 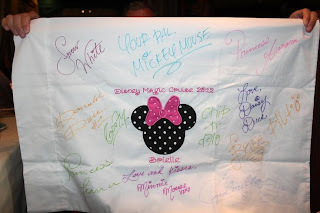 Did you know if you are going on a Disney Cruise that you can actually bring your pillowcase to guest services when you board the boat and at the end of the cruise you will receive it back, signed by all of the princesses (or you can choose the classic characters). I would suggest sending the pillow case and fabric markers in a sealed baggie with a thank you note and perhaps some candy for the characters or a small tip.